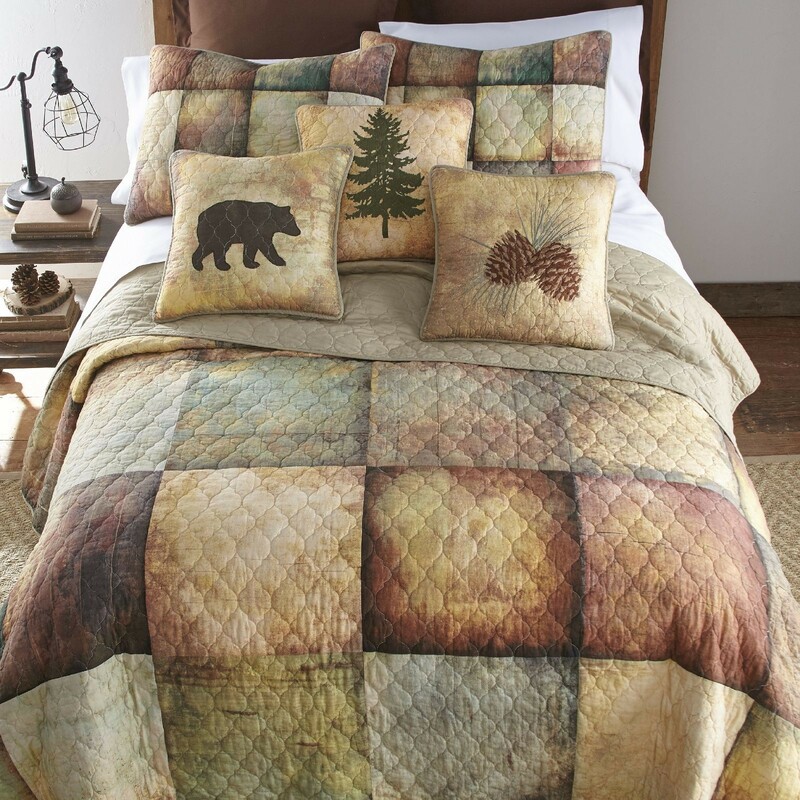 The Wood Patch bedding collection incorporates large panels which are printed to resemble blocks of wood. 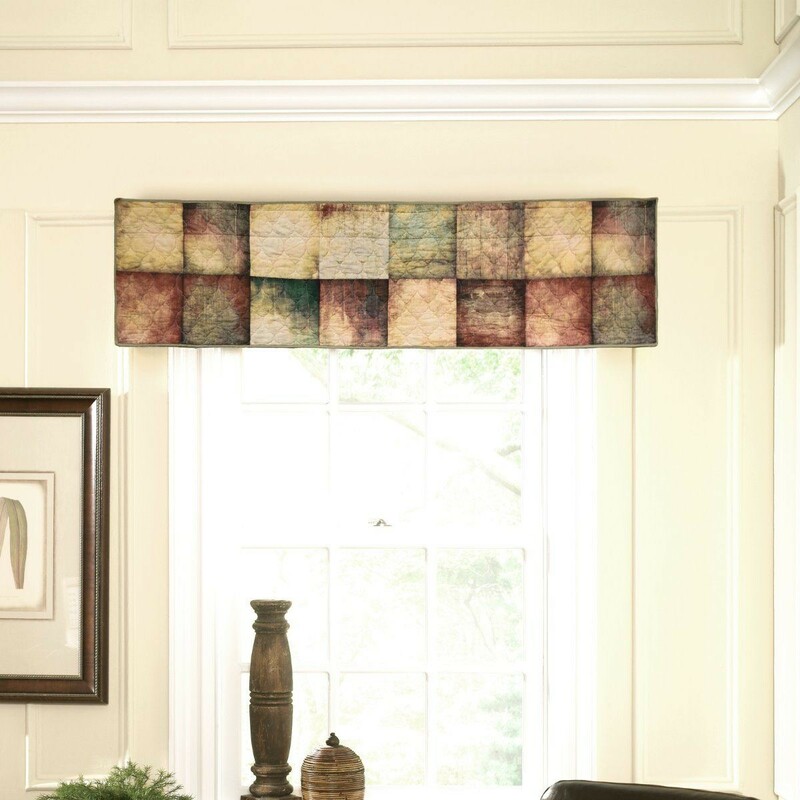 Richly-textured tones of amber, sage, rust and mahogany add a rustic touch to your room. The Wood Patch bedding collection incorporates large panels which are printed to resemble blocks of wood. 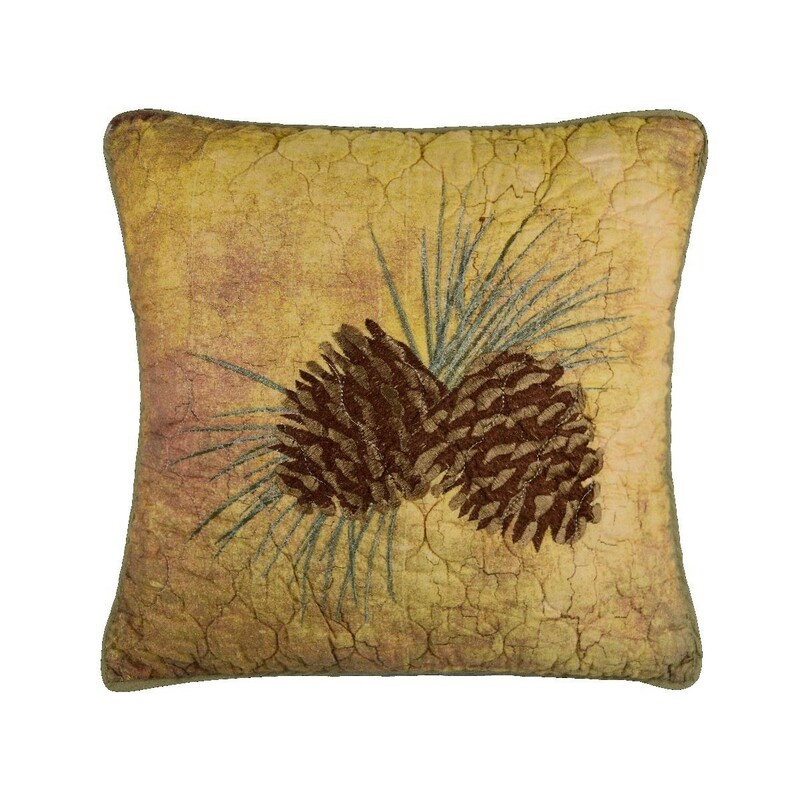 Richly-textured tones of amber, sage, rust and mahogany add a rustic touch to your room. 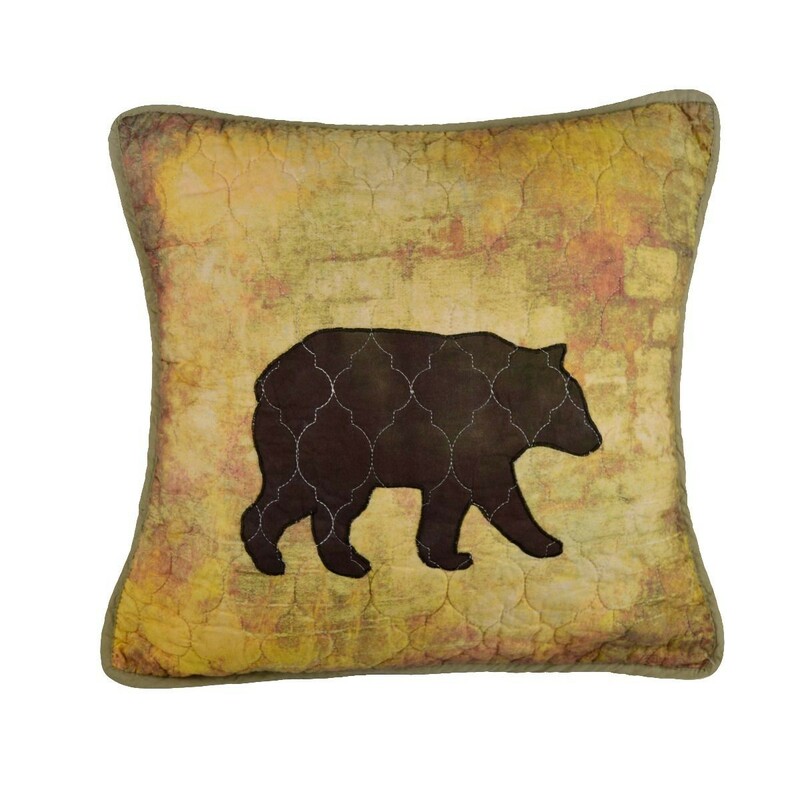 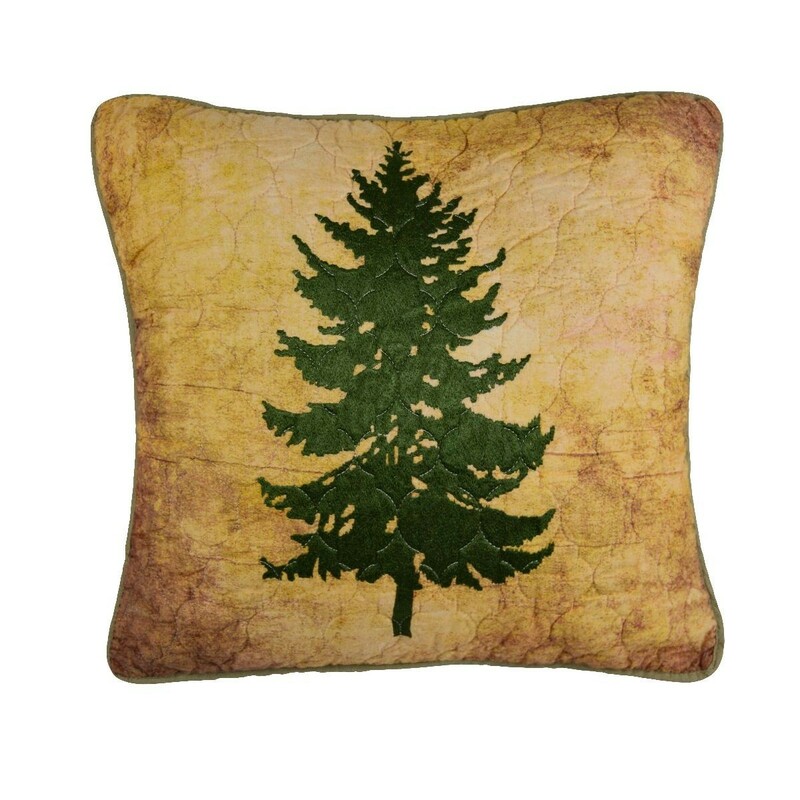 In addition to our coordinating quilted shams, skirt, and valance, we also offer accent pillows featuring pine and bear motifs. 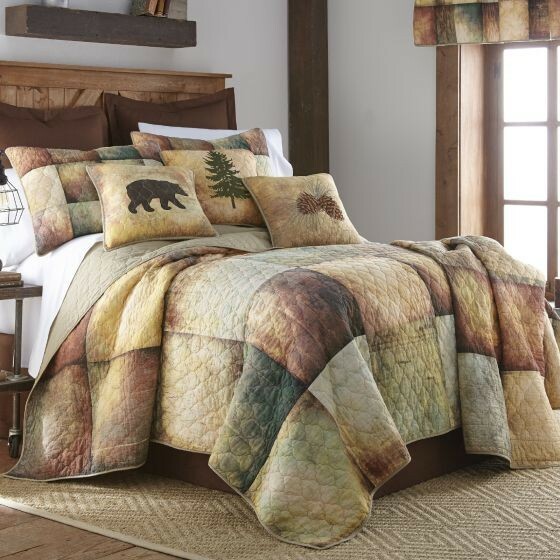 King set includes 1 King Quilt: 108" x 95" and 2 Standard Pillow Shams: 20" x 26"
Queen set includes 1 Queen Quilt: 90" x 90" and 2 Standard Pillow Shams: 20" x 26"
Twin set includes 1 Twin Quilt: 75" x 90" and 1 Standard Pillow Sham: 20" x 26"